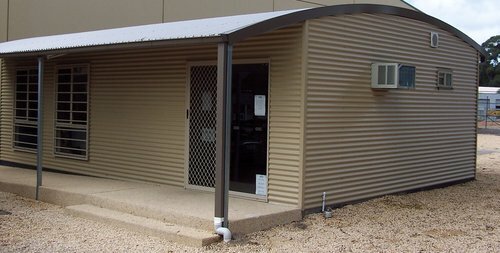 This office was a custom design, based on our curved roof garage range. 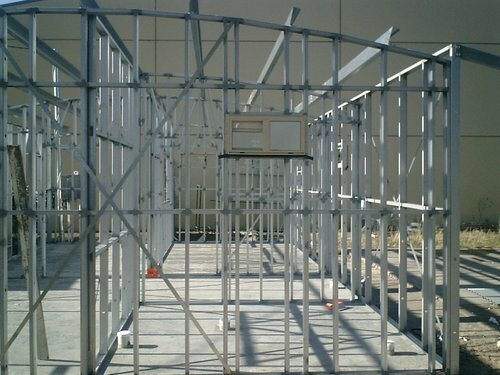 The structure is made up of conventional studframe walls. 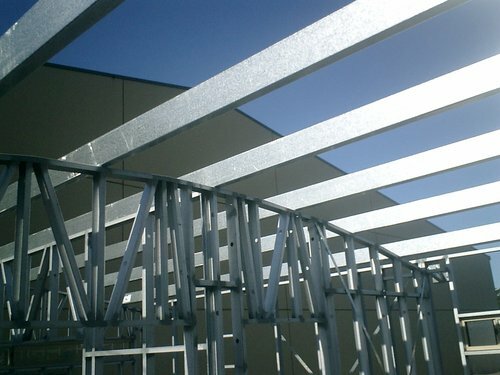 With roof purlins used for the roof structure. 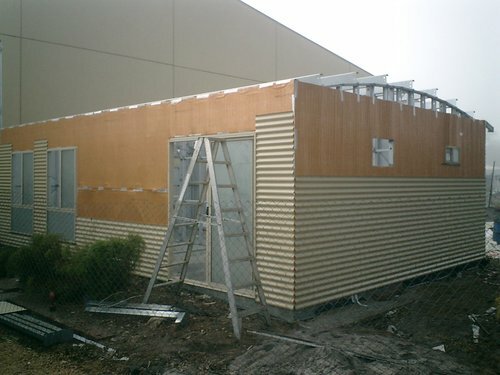 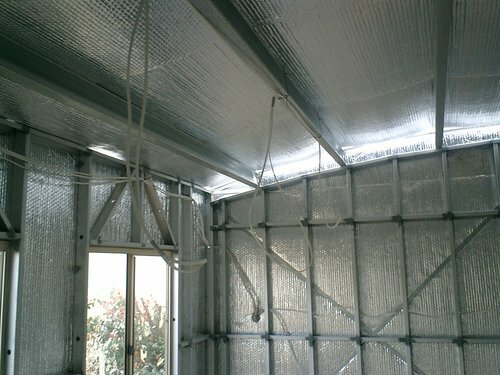 The roof and walls have been clad with Aircell Insulation.The walls shown above are ready to line with gyprock.